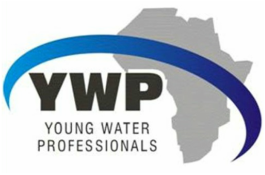 This is the fourth Conference to be organised by YWP-ZA, and based on past experiences we the conference committee put together some important information and tips for the exciting group of oral and poster presenters. Further queries may be directed to Mr Jaco Seaman at events@wisa.org.za. Provided below is a comprehensive document on instructions, information and advice to oral presenters. This document is essential for first-time presenters as it will inform one of what to expect and how to be prepared. Also is a template of a MS PowerPoint presentation, which provides further important information and tips on presenting. The use of this template is not mandatory for presentations at the conference. Please remember that presentations should be submitted by 6 November 2015 to the organisers for inclusion in the system, or by 30 October 2015 to take advantage of a non-compulsory review/feedback service of presentations. Full details are contained within 'Advice to Oral Presenters'. Similarly, provided below is a comprehensive document on instructions, information and advice to poster presenters. This document is essential for first-time presenters as it will inform one of what to expect and how to be prepared. Also provided is a template of a typical A0 poster, provided in both Microsoft Publisher and Microsoft PowerPoint format. It is advised to use MS Publisher to construct your poster if possible. An innovative idea is to include a small head shot of the poster presenter on the poster itself, to allow conference delegates to identify authors of posters they are interested in.